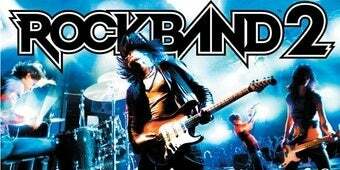 Our friends across the pond who don't game on the 360 will be pleased to learn Rock Band 2's finally gotten its Great British release dates. PlayStation 3 and PS2 gamers get the game March 27; Wii gamers will see it April 24. The game had been Xbox 360 exclusive in the UK since its release last year. Further, the individual instruments have been priced. Guitars for £39.99, drums for £49.99, and an instruments-only bundle (git-tar, drums and mike) for £89.99.